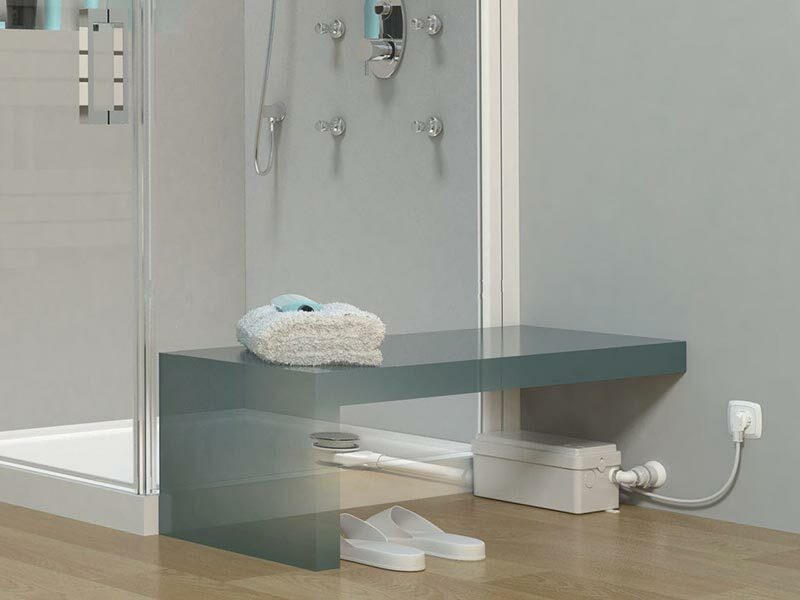 Buy the Sanishower Flat online and save time and money. 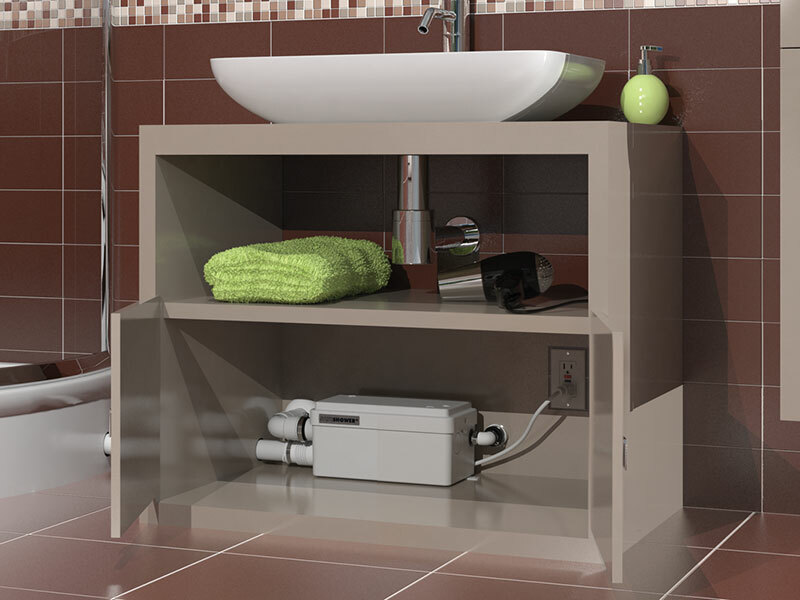 The Sanishower Flat is a grey waste water pump that is similar to the Sanishower but designed specifically with a low level shower tray in mind. 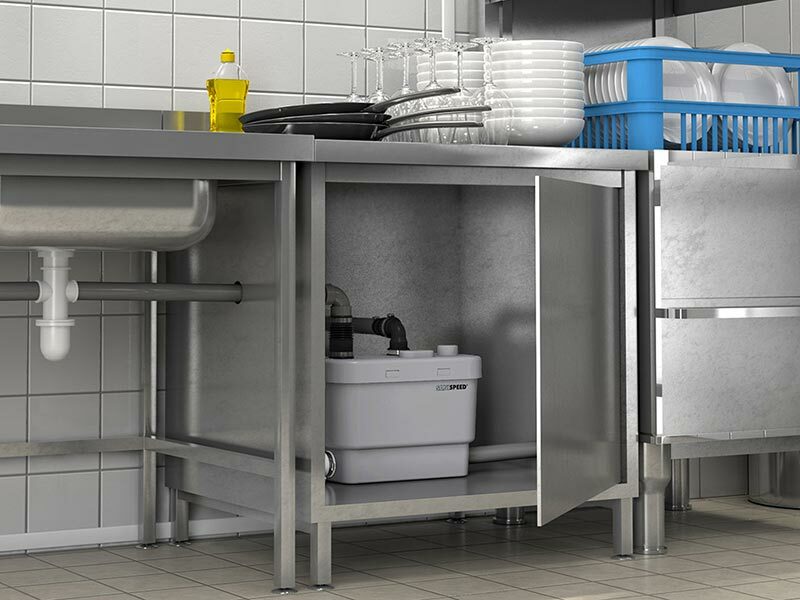 It suits trays of 80mm and over, and helps overcome gravity drainage issues in environments where it would otherwise be impossible to install and operate a shower. 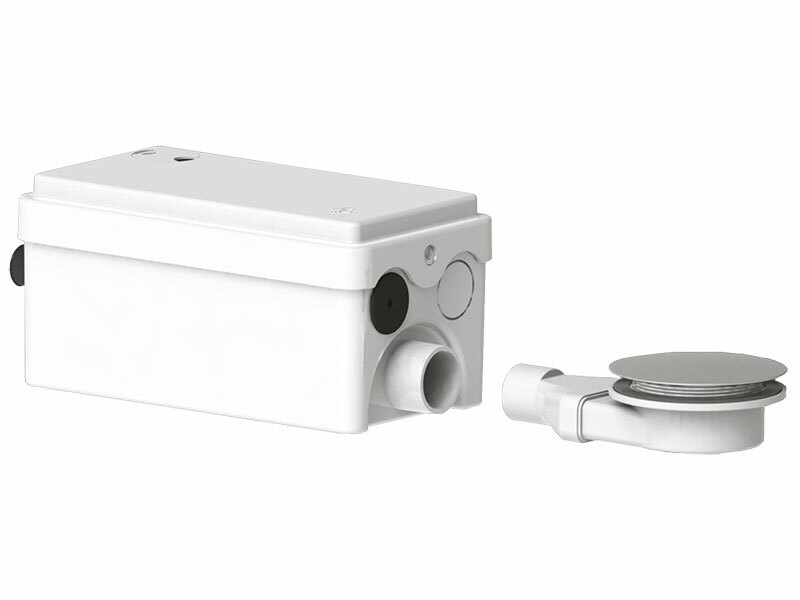 Sanishower Flat works equally well with a standard electric shower or gravity mixer shower. 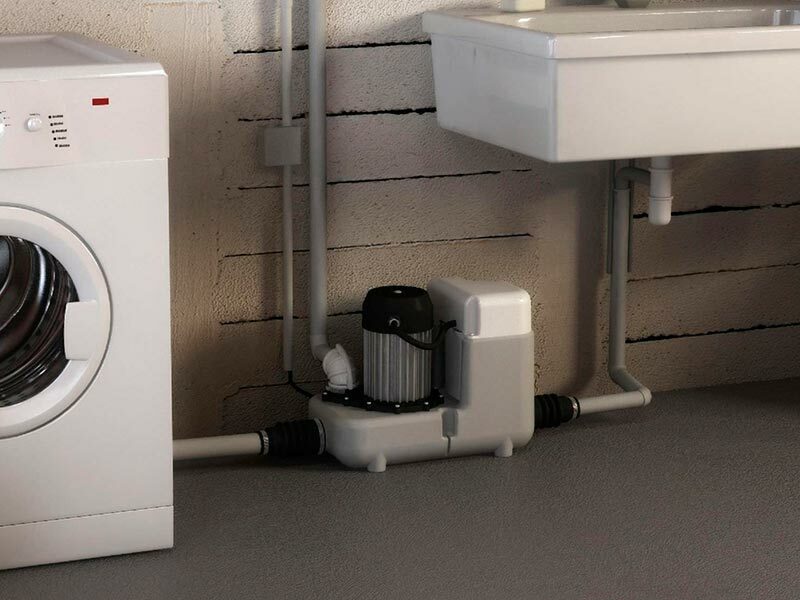 A second inlet means that a wash basin can also be added.